Experience a luxurious escapade away from the city and get all-day access to Camayan Beach Resort! Enjoy thrilling activities such as scuba diving, hiking, horseback riding, snorkeling, and more! The beach water is very clean & you can see many fish swimming.We really enjoyed the beach.The only issue that we had was at the entrance because there's no lane for those who have klook vouchers.It really took time for us to queue at the ticket office even if we already have vouchers. Satiate your search for tropical paradise–escape to Camayan Beach Resort for a day of exquisite relaxation! Nestled on a quiet place in Subic Bay, delight in the intimate ambiance of the private estate. Get away from the constant hustle and hassle of the city. Step into fresher spaces and enjoy a natural playground encircled by lush rainforests and white, sandy beaches. With an all-day access around the resort, take your time lounging on the beach and plunging in clear, blue waters. Plunge deeper by scuba diving and snorkeling where you can see the thriving marine life below. Be one with nature and follow the hiker’s trail deep within the heart of the surrounding forest. Give in to spontaneity and try horseback riding by the stunning Camayan coast. Treat yourself more by losing yourself under the skillful hands of massage therapists at the spa. 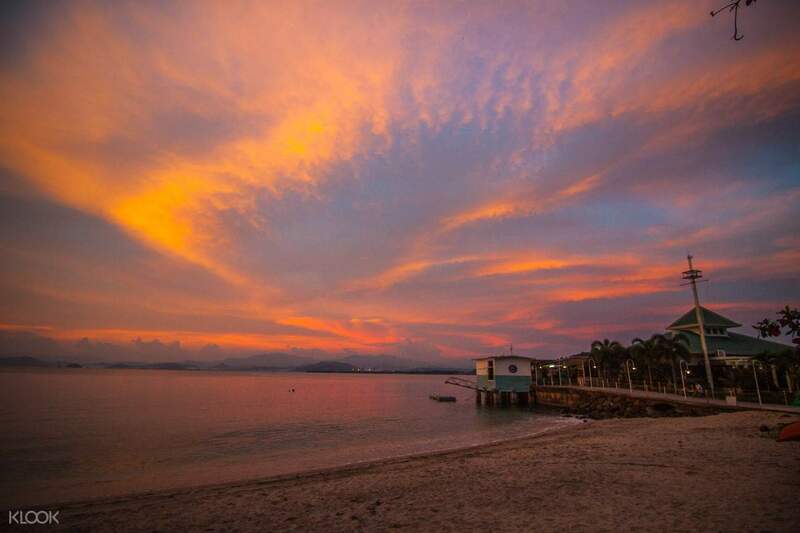 Paradise is what you make it, and there’s no other place like this stunning resort in Subic. 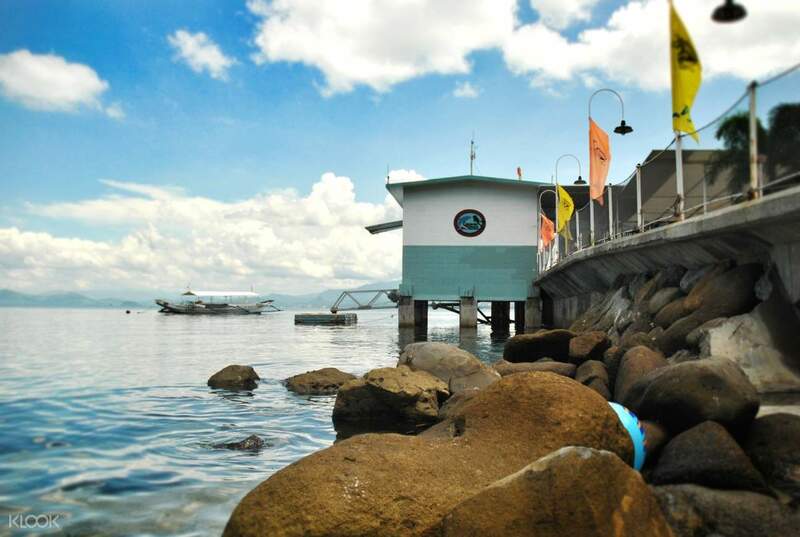 Get a splashing welcome at the beautiful Camayan Beach Resort in Subic Bay! 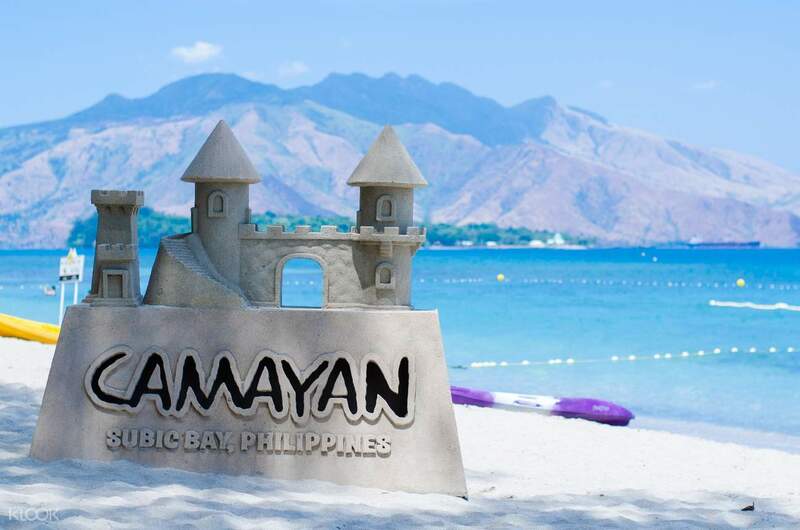 Looking for more activities near Camayan Beach Resort? You can book discounted admissions to Adventure Waterpark or Ocean Adventure! We had so much fun at the beach but we arrived at the resort at nearly 5AM, cause we were expecting that we could come in by 6am because of what is dictated in the operation hours at the voucher. but we were told by the front officer at the hotel that the ticketing booths are yet to open at 7:30 am. so are we going to wait for more than 2 hours? i hope klook finds solution on this. We had so much fun at the beach but we arrived at the resort at nearly 5AM, cause we were expecting that we could come in by 6am because of what is dictated in the operation hours at the voucher. but we were told by the front officer at the hotel that the ticketing booths are yet to open at 7:30 am. so are we going to wait for more than 2 hours? i hope klook finds solution on this. Had a relaxing day at Camayan Beach Resort and would highly recommend to anyone looking for a no frills and go at your own pace beach day. Booking through Klook was quick & easy! Had a relaxing day at Camayan Beach Resort and would highly recommend to anyone looking for a no frills and go at your own pace beach day. Booking through Klook was quick & easy! Camayan Beach Resort has always been a go-to-destination wth our family and staff. Now, with the help of Klook, we’ve tried it with our group of 30 employees, and I must say, it is a truly warm experience, especially on a weekday and non-peak season when the resort is more peaceful and calm. Our team building activities ended up loud and cheerful without distracting other guests because of the long and wide beach front where we get to stay a little far from most guests. Thank you to the helpful Camayan staff and Klook! Camayan Beach Resort has always been a go-to-destination wth our family and staff. Now, with the help of Klook, we’ve tried it with our group of 30 employees, and I must say, it is a truly warm experience, especially on a weekday and non-peak season when the resort is more peaceful and calm. Our team building activities ended up loud and cheerful without distracting other guests because of the long and wide beach front where we get to stay a little far from most guests. Thank you to the helpful Camayan staff and Klook! My family usually visit Subic every year to go the beach. Camayan beach is always our go to place. Well mentained beach and facilities . Friendly staff and great selection of food at the restaurant. 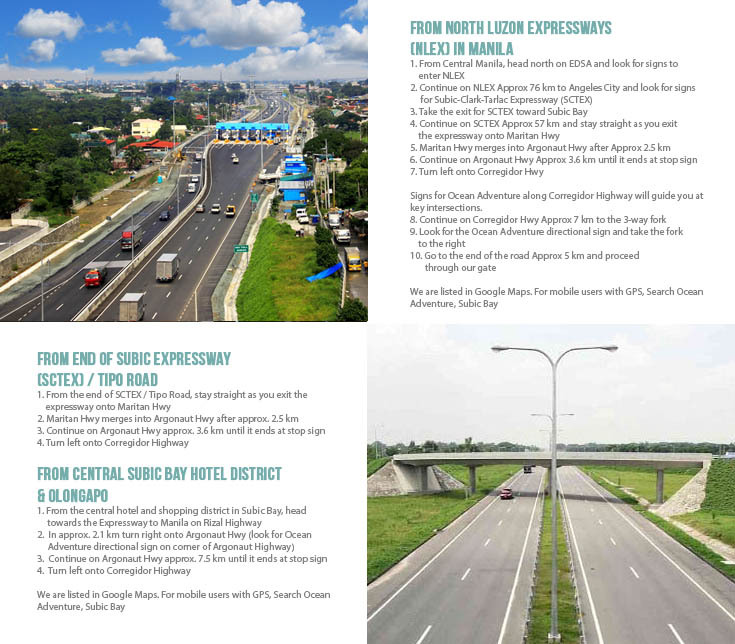 Just 3 hours away from Metro Manila you can get away from the hustle and bustle of city living. My family usually visit Subic every year to go the beach. Camayan beach is always our go to place. Well mentained beach and facilities . Friendly staff and great selection of food at the restaurant. Just 3 hours away from Metro Manila you can get away from the hustle and bustle of city living. The beach water is very clean & you can see many fish swimming.We really enjoyed the beach.The only issue that we had was at the entrance because there's no lane for those who have klook vouchers.It really took time for us to queue at the ticket office even if we already have vouchers. The beach water is very clean & you can see many fish swimming.We really enjoyed the beach.The only issue that we had was at the entrance because there's no lane for those who have klook vouchers.It really took time for us to queue at the ticket office even if we already have vouchers. It was an amazing experience once again at Camayan Beach Resort. We have been here many times, with the same group, many years ago, and still, we are so amazed that they maintained it’s cleanliness and beauty despite the expansions and additional ammenities.. we just had this experience with ticketing because the staff said that they don’t accept klook transactions during holidays.. we got so disappointed and mad because we are already there by 6am and waited for 1and a half hour to secure a slot in a first come first serve basis in their cabanas.. we got so angry at first and got into a conversation , asking how come klook accepted the payment for the said date nov 30 and a holiday.. So we got into a lil commotion but in the end the staff fixed the said conflict and accepted our passes.. So in the end, we got into a bit of stress and hassle, but the captivating beauty of this resort and friendly staffs saved the day.. I just do hope that this won’t happen again next time.. more powers to you and Godbless!! It was an amazing experience once again at Camayan Beach Resort. We have been here many times, with the same group, many years ago, and still, we are so amazed that they maintained it’s cleanliness and beauty despite the expansions and additional ammenities.. we just had this experience with ticketing because the staff said that they don’t accept klook transactions during holidays.. we got so disappointed and mad because we are already there by 6am and waited for 1and a half hour to secure a slot in a first come first serve basis in their cabanas.. we got so angry at first and got into a conversation , asking how come klook accepted the payment for the said date nov 30 and a holiday.. So we got into a lil commotion but in the end the staff fixed the said conflict and accepted our passes.. So in the end, we got into a bit of stress and hassle, but the captivating beauty of this resort and friendly staffs saved the day.. I just do hope that this won’t happen again next time.. more powers to you and Godbless! !